Elected officials in our state have ignored repeated warnings, suppressed ambitious but necessary proposals, and essentially wagered the long range future of our state in the hope that minimalist support for emergency management will be “just enough” attention to the threat an earthquake poses. 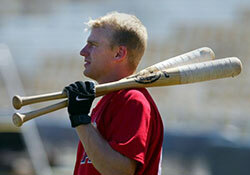 Awhile back a shortstop in major league baseball named David Eckstein earned the nickname “Just Enough”. The nickname was a compliment from his peers. He possessed a weak throwing arm (not a good quality in a shortstop) but compensated for his arm strength by having excellent range at his position and a quick throwing motion that compensated for his lack of arm strength. The aging process that afflicts all ballplayers eventually turned Eckstein’s career into the “not enough” category. “Just enough” is not a compliment when it refers to government support of emergency management. Elected officials know that a robust and proactive emergency management program is an investment in preparing communities, mitigating known risks, responding to and recovering from a major earthquake. They know how much we have to lose in terms of lives, the health of our state economy, and our overall social and physical environment. They know these things because they have been told this by emergency managers, scientists and other reputable subject matter experts. Their decision to provide “just enough” support to state and local emergency management is short-sighted, and dangerous. Elected leaders in this state do pay lip service to the importance of high visibility emergency management earthquake exercises. 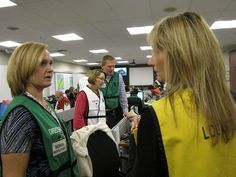 Yet during budget development neither the state’s Emergency Management Division nor local government’s emergency management agencies receive any special attention. The current Administration and state legislature’s indifference is not new. The budgetary commitment to expand support for state and local emergency management has waned for many years. When a proactive initiative is proposed the leaders’ hands quickly cover their ears. Speaking truth to power works only if it is what they want to hear. They’ll disregard the rest. Perhaps legislators and executives should ask their own subject matter experts to list funding and resources that would advance their capabilities. Though what is desirable may not be deliverable in one or more legislative sessions, establishing an optimum funding and resource standard would be a good start. For Eckstein, “just enough” was a compliment for his willingness to push the limits of his ability to get the job done. In emergency management terms, providing “just enough” translates as “doing the minimum”, hoping for a disaster that is manageable with limited resources. That’s never going to be “good enough” to protect the people, economy and environment of this state.